Travel with Kevin and Ruth! 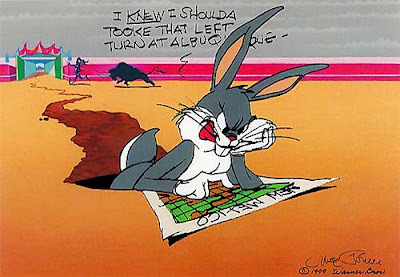 : I knew I shoulda took that left turn at Albuquerque! One of the things we've been doing is planning our route north! Pleased to announce that we'll be doing a three day (April 7-10) profile of the city of Albuquerque, New Mexico. Our facebook fans have already made some suggestions of things that we should do in the area when we're there, but if any of our readers here want to comment below, we'd be happy to hear your ideas. Our approximate 2,100 kms (1,300 miles) route from here to Albuquerque! We'll leave here around April 1st give or take a day or two either way. Sherman the motorhome will be remaining here at Hacienda Contreras for the summer because our summer job at Sturgeon Lake Regional Park includes accommodation in a cabin. Speaking of Sherman, I've been doing some minor repairs and maintenance. I still haven't taken him for a test drive since doing the front brakes last December, and I do want to give him some exercise before we leave here so when the propane gets a little lower, maybe next week sometime we'll take him for a drive to fill the propane tank and also put a few litres of fresh gasoline in the tank. Sherman's hot water heater stopped working last fall and because we rarely use it I haven't been worried about it. But I do like everything to be in working order, so yesterday I had a look at it. Cleaned all the connections, did some electrical testing, and found that the electronic circuit board had a fried circuit. These circuit boards can be a common problem with motorhomes, and similar boards are used in the workings of both the refrigerator and the furnace. So I had stashed away a universal replacement board that would work in all three appliances should one of the boards go bad. Plugged it in, and the hot water heater fired right up. And, I gave the little blue car a complete clean up...he was filthy after our two month trip to Guatemala. Lookin' pretty good for a 7 year old car with almost 180,000 kms (112,000 miles) on the clock! Ruth made a delicious gluten free pizza for dinner...chorizo sausage with onions, peppers, and tomatoes! Busy, busy, busy - nice to get those sorts of things done! Since we haven't been to Albuquerque I can't wait to see what it's like! Lots of miles in between - also looking forward to seeing that northern area of Mexico. We are looking forward to our visit to Albuquerque too! Yes, most of the trip in the northern part of Mexico will be new for us as well. Not too sure how much time we will have to see any sights, but you never know. A little detour to White Sands could be nice. Thank you Poraka, we will have to see if we have time for this. I have seen it mentioned before in other people's blogs and would love to visit there. If we don't see it this visit we will definitely make a point of visiting it the next time we are in the area, possibly next winter. We have enjoyed Albuquerque and few times there is quite a bit to see and do in that area enjoy! We will have to have a look at your old blog posts to see what you did there to possibly get some ideas then. Ah Albaturkey, nice town, Tell Ruth Friday is pizza night.Looks like the campground had quite a few spots filled. Glad your water heater was an easy fix, but Kevin is an ex tech so that helps. Be safe out there, still to early to head north. Sam & Donna..
Sam, in our house any night can be a pizza night! Yes, Hacienda Contreras RV and Trailer Park has been quite busy this winter. So much fun hearing of your travels. Your news is the only way I will be able to enjoy these places. Maybe I will get to visit some of them.hopefully. Wanting to go to Mexico for a month and your travel adventures are helping me narrow it down. Thank you so much for sharing your adventures. Hope you are able to make it down to Mexico. Feel free to contact us if you ever have any questions about Mexico we are more than happy to answer them as best we can. I hope you didn't throw that board away. I bet someone in Mazamitla can fix it! Have fun! Nope he didn't throw it away Chris. We have no doubt that someone in the area could fix it. Maybe we will look into that next winter when we return. Chorizo, onions, peppers and tomatoes...on any kind of dough! Lol, yep I think we will! Glad to see Sherman is remaining in HC so there is a good chance we will run into you guys next winter. HC is on our list of stops. Travel safe! I sure hope that we can meet up! Not sure exactly when we will be back here next winter but we will be back for sure. Sure looks like a great campsite you've got there. No wonder you keep returning. Careful how far north you go in april. But then being from Canada I guess you would know. I'm envious of your clean car and getting Sherman all ship shape. Winnona and Ruby need oil changes and baths both of which we always do ourselves but none of the campgrounds here will allow such work. Sherry, it is great here! We don't have much choice in heading back north in April, we have to be at our new job by April 24th. We are hoping that the weather will start to look like spring by then. How exciting to plan your trip north.... sure wish Wisconsin was in your route north! Ours was the same make Karen, maybe that is how they came up with the name. Anyways is seems to be working great so that is good to know. Unfortunately we will not be making it over to Wisconsin in the spring but you never know in the fall when we head back to Ottawa, Ontario we might just go through the States and I believe that Wisconsin is along the way. Thank you for the sugestion Emily, we will keep that in mind when we want a bit of a break from the city's hustle and bustle.